I am writing to especially say that we are very grateful for the gift of water. It should be noted that water is one of the very basic needs of life and that many people around the world die and suffer as result of lack of water. For the past 3 days we didn’t have water in our community. 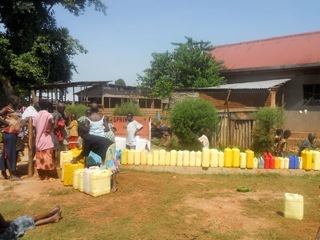 (Piped water is not always available.) 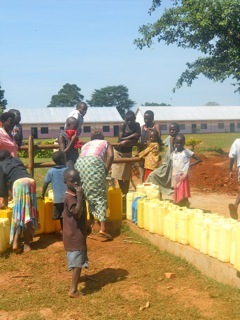 Over 4 villages came to Nkumba to find water. I remembered how we used to go to Lake Victoria to bring water which could with no days make us sick. To all our Brothers and Sisters who contributed, I want to say a big thank you on behalf of many people. This water is a source of hope and rest to the restless and to all those that have a thirst. We are using it to evangelize and make Christ known. Many who come to this place will never be the same. 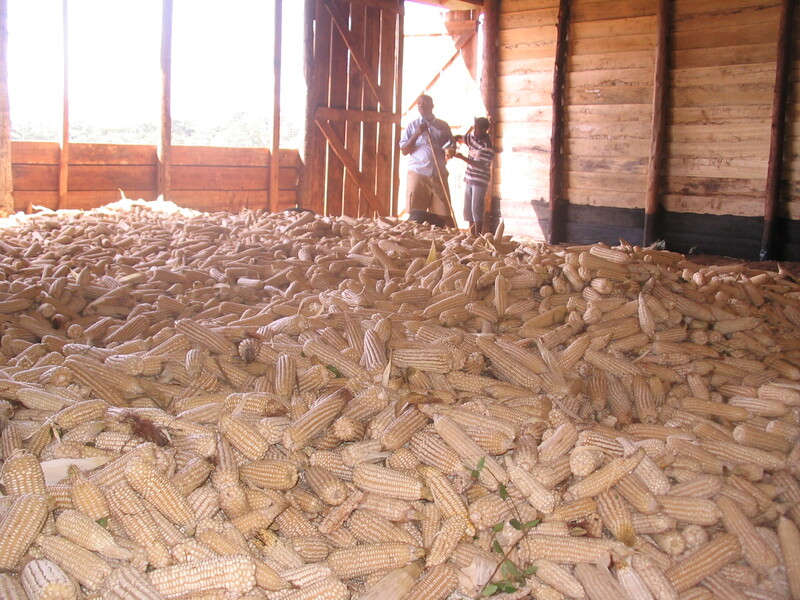 We are also very happy to have harvested such a huge amount of maize!!! It’s our 2nd planting and we hope that our food program will be boosted this year so that we shall feed more people, both in the village and in the prisons. 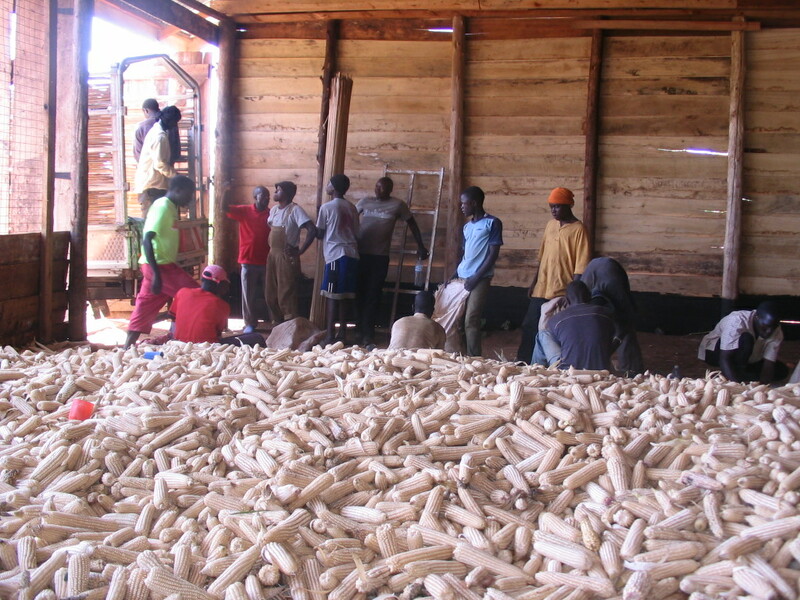 This time we have been able to harvest two lorries and they will give us 20 tonnes. Next season we would like to produce 50 tonnes. Wow! Thanks for these pictures and for the note! 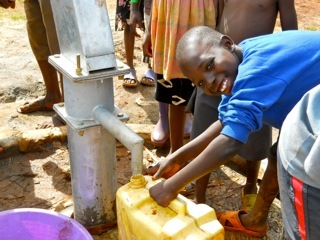 It’s hard to believe that some people don’t have clean water to drink…there is something very wrong about that! 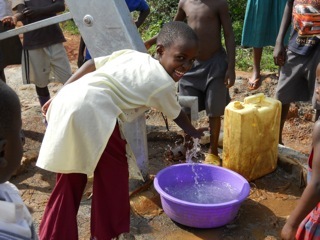 So glad the “borehole” is working! !